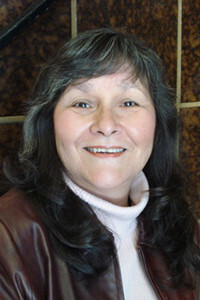 Jean is an enrolled member of the Crow Creek Sioux Tribe in South Dakota and is their first Tribal Peace Ambassador. She co-founded her tribe’s first Kunsi/Unci Grandmothers Society and serves as their first Chairwoman. She participated in the 100th Year Memorial of the Wounded Knee Massacre in 1990, as a Walker on the Big Foot Memorial Ride. She has ancestors who were killed at Wounded Knee. She is the mother of 5 grow children and 7 grandchildren with another grandchild due to be born this fall. A practitioner of meditation for 40+ years, Jean is a certified meditation teacher and spiritual counselor. She holds a BS in Nursing and MA in Counseling Psychology. She is co-founder of Healing Hearts at Wounded Knee and the Wounded Knee Global Ceremonies to heal the multi-generational and multi-lineal effects of massacre, holocaust, and war upon humanity, other species and our beloved planetary home. She is working on her Doctorate in Ministry at Ubiquity University under their Wisdom Studies Graduate Program.